Deck maintenance is one of the main considerations when choosing the decking material for your outdoor area. Having in mind that the patio deck is usually not covered, it is exposed to all the elements – wind, rain, snow, high and low temperatures, etc. One of the main tasks when installing a deck is to create optimal conditions so that it will retain its properties for years to come. 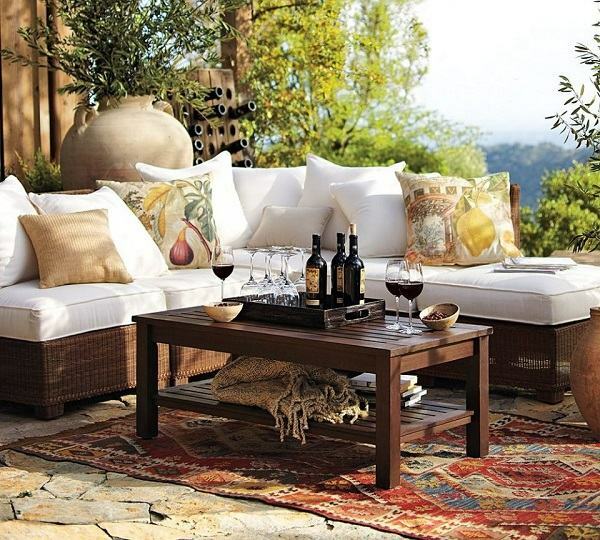 An outdoor area can be a wonderful decoration of the house and a favorite place for relaxing in warm evenings. 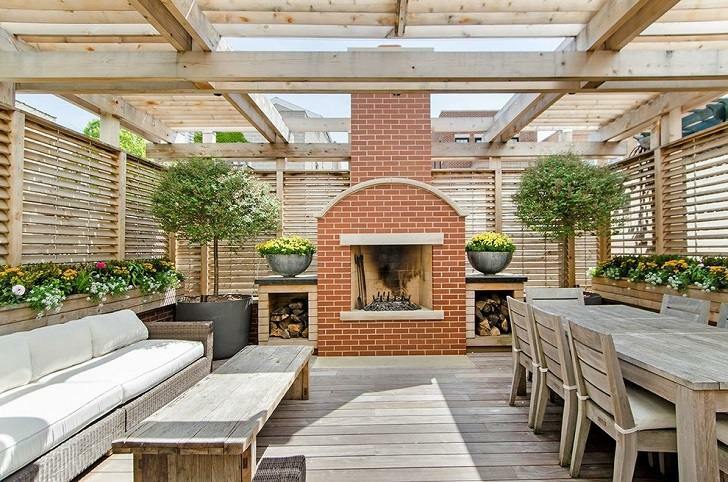 The main advantage of patio decks is that they are a kind of a transitional link between nature and home. In summer time it serves as a kind of additional living area, a place for entertainment to welcome guests. The design of any outdoor area begins with choosing a suitable material which must be durable, resistant to moisture, significant air temperature fluctuations, and at the same time to look beautiful and work in harmony with the landscape and the house exterior. 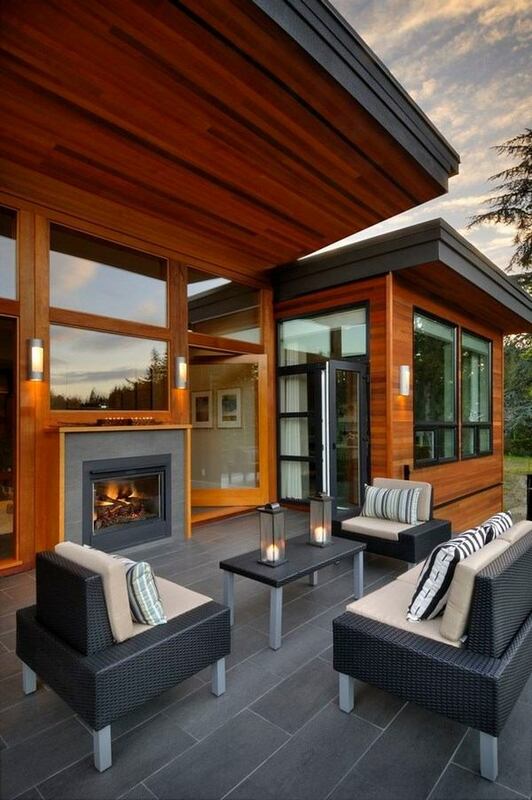 We shall look at the maintenance requirements of the most popular types of decking – solid wood, composite, tile and stone, as each one has its own advantages, disadvantages and maintenance requirements and will give you useful tips and practical ideas how to keep the best look of your deck for years. 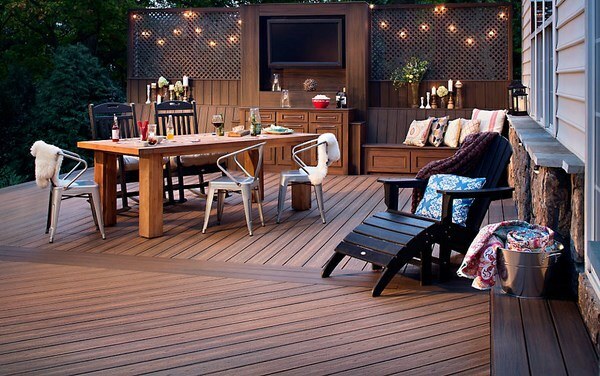 Solid wood decking is among the most popular choices for its warmth and naturalness. 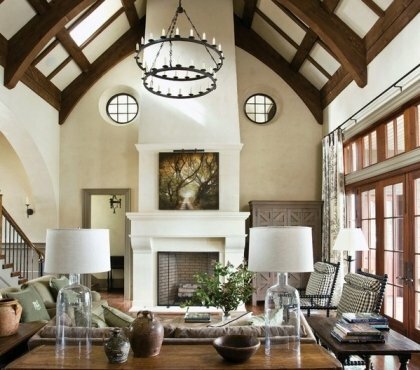 However, solid wood comes in a variety of options – pine, spruce, cedar, teak, ipe, etc. and some wood species are more durable than others. Solid wood decks offer many advantages but they are not resistant to fungus, rot or pests and with years wood cracks and splinters and loses its beautiful appearance. 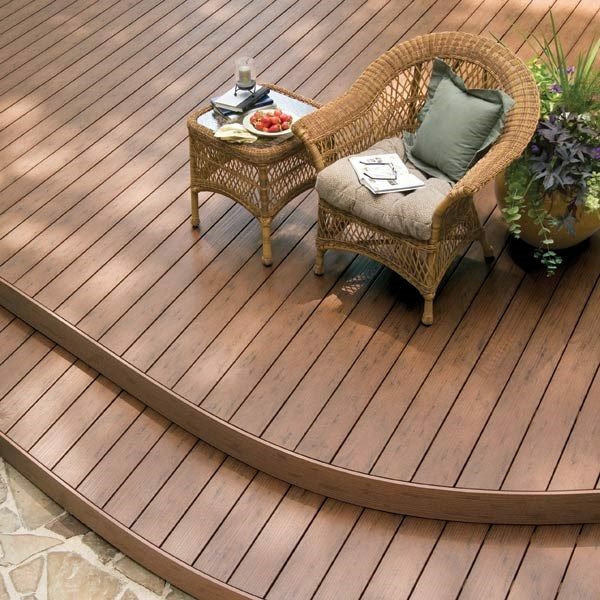 Solid wood deck maintenance requires regular care so that the wood is protected and resistant to water, sun, mold, etc. 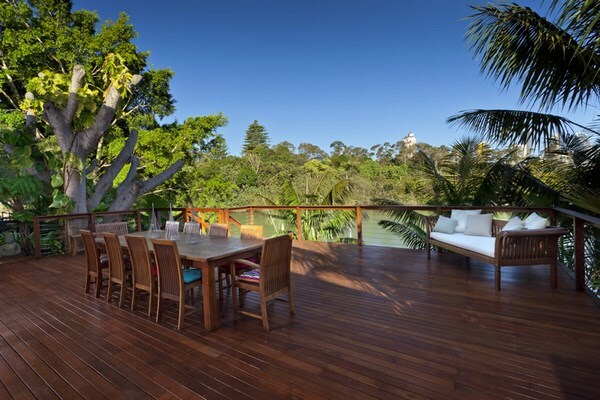 Here are some practical tips for the maintenance of your beautiful wooden deck. Remove any dirt and debris before making any repairs. It is best if you used a pressure washer and allow the deck to dry overnight. Remove loose nails and replace them with new ones. How to replace split wood planks? You need to remove the nails or deck screws, cut the splintered plank and replace it with a new one. In case the new board appears higher and wider, let it stay for a few weeks, as wood shrinks when losing moisture. If it does not shrink you can use a belt sander to smooth it down. Make sure you removed all nails from the wood before sanding. Staining and sealing solid wood decking is essential as wood is vulnerable to moisture and sun’s rays. When you want to keep the natural wood color, you should choose a clear wood preservative containing a UV protector. When you want to add color, you should choose a suitable stain which is appropriate for external use. They come in solid or semi-transparent finishes and are an excellent way to protect the wood from mildew and fading. Staining should be applied with a roller or a brush and it is a must that you wear protective eye-wear and gloves. Remember that stains need time to penetrate into the wood, so after you applied one coat of staining you need to let it dry completely and add a second coat, if necessary or if you want a more consistent look. A second coat of stain adds to the durability of wood. Let the stain dry completely overnight or for 48 hours, and then apply a sealant. 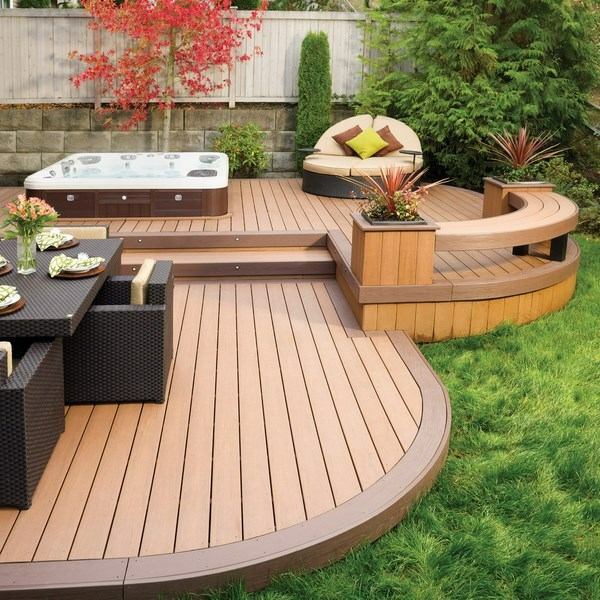 Composite decking is another option which enjoys a great popularity among customers. It is a great option for any outdoor area, as it comes in a variety of colors, textures and patters and is easily installed. The material is durable, resistant to mold and staining, it does not crack or splinter and does not require annual sealing and staining. Composites are made of a blend of materials, including wood flour, wood fibers and plastic materials (either recycled or virgin). Despite that they do not require as much maintenance as wood decking you still have to take care to keep the initial look. High end composite decking should be thoroughly cleaned at least twice a year. One of the most important things you need to remember if you have a composite deck is never to use metal shovels or sharp edges to remove snow and ice or you can severely scratch it. Use a plastic shovel, rock salt or calcium chloride if you need to melt snow and ice. It is difficult but not impossible to stain a composite deck. Cleaning the stains, oil or grease or spilled liquids as soon as possible will prevent soaking into the composite wood fibers. Pressure washers should be used with extreme caution. It is better to wash the deck with soap, water and a scrub brush, scrubbing in the direction of the grain pattern. Clean your deck using a hose or broom as often as needed and remove fallen leaves or debris out of the gaps between the decking boards. In case you notice any mold and mildew on your composite decking you should clean it immediately with a hose and warm, soapy water with a soft bristle brush or use a commercial cleaner recommended by the manufacturer. Do not use acetone or other solvents on a composite decking. PVC decking is made of plastic resins, new or recycled and is not a natural material and does not contain any wood which makes it resistant to mold and mildew and withstands scratching, staining and fading better than natural materials. The biggest advantage is that it does not retain moisture and is not affected by high humidity levels. Having said all that, and despite the fact that PVC decking maintenance is relatively low, to keep the good look you still have to understand the basic requirements. It is essential not to use bleach on PVC decking as it will degrade. If you are using chemical cleaners, make sure they do not contain chlorine bleach. It is much better if you use white vinegar, ammonia or simply soap to wash your deck. PVC decking is susceptible to scratching and when you feel like scrubbing your deck, always use a brush with natural or plastic bristles. Using a wire brush will damage the surface and will result in scratches that will not only look bad but will keep dirt as well. When using pressure washing, you should not exceed 1800psi. Washing a PVC deck with a water hose is a good idea for regular cleaning. 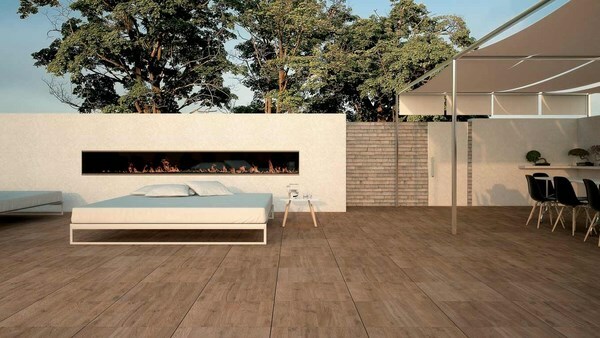 The market offers numerous ceramic and porcelain tile options suitable for outdoor use. They have many benefits like durability, reliability and a diverse selection of color options. Ceramic and porcelain deck tiles look great and you can choose from matte, glazed or rough surface. Despite that tile decks are considered to be low maintenance, they still require sweeping, mopping or washing to keep them clean. How to maintain unpolished porcelain tile deck? Sweep the dirt and debris from the surface, and use a cleaning solution. Allow it to stand for a period of 5-10 minutes and wipe or rinse the surface with clear water, a mop or a water-hose. Difficult stains can be removed by scrubbing them with a scrub brush. Unpolished ceramic tiles should be sealed regularly as well. 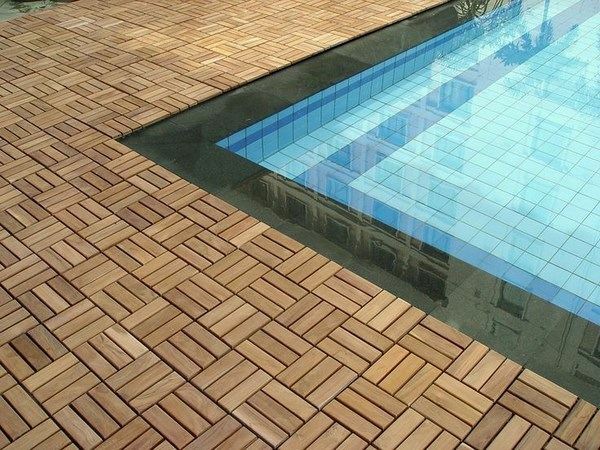 To maintain a polished or glazed tile deck you need to follow more or less the same procedure. Mop the surface with a mild cleaning solution and rinse the tiles with clear water thoroughly. 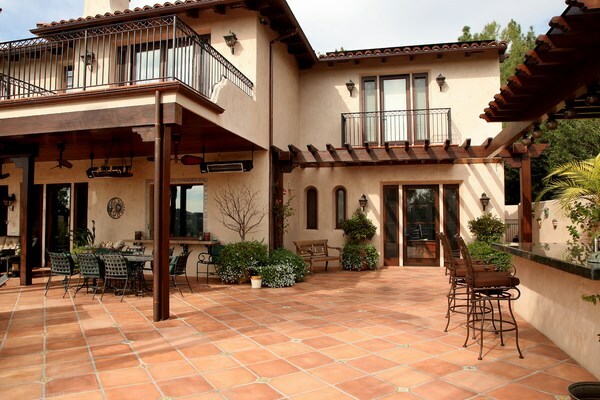 If you have chosen textured tile for your patio deck, some extra care is needed. You need to clean textured tiles more often than glazed tiles. Sweep the dirt and debris from the deck surface and apply a neutral cleaning solution. Stir the surface and leave the solution to sit for 5-10 minutes. Scrub the floor and rinse with water to to remove the cleaning solution. You need to pay special attention to the grout and seal the grout lines. The market offers a variety of grout sealers, so make sure you have read the manufacturer’s instructions. When cleaning porcelain tile decks you should not use ammonia or cleaners containing bleach or acid as they may affect the grout color. Oil-based detergents, wax cleaners, or sealants must not be used on tile decks either. When cleaning unglazed porcelain tile, do not use cleaners which contain dyes or colors. Brick deck maintenance – what is important to know? Brick patio pavers look amazingly beautiful, they add unique style and aesthetic appeal to the outdoor area and are a a long lasting decking material. Bricks are strong and durable and can last for generations but your brick deck will require some maintenance and proper care. 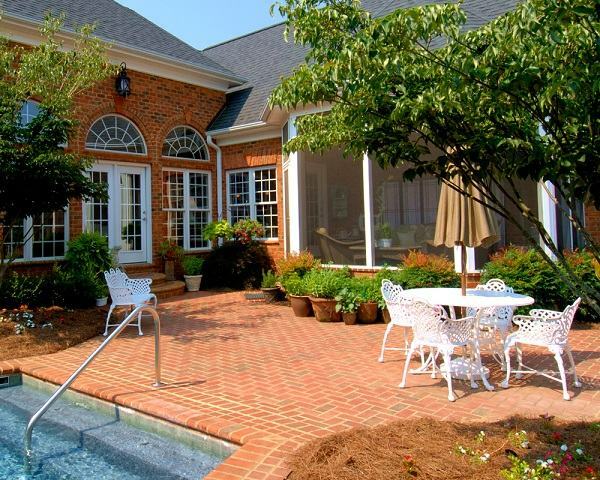 Brick patio decks are cleaned with masonry cleaners. 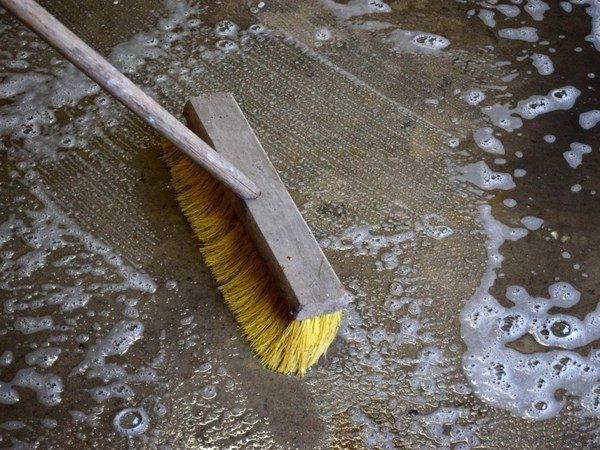 You need to read the instructions, mix the cleaner as per the directions, apply the cleaner and use a stiff-bristle broom or a brush to scrub the deck surface. 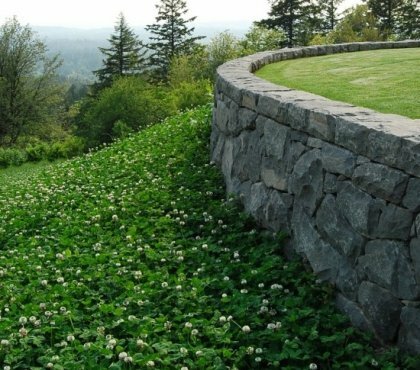 To remove efflorescence, use a special masonry efflorescence remover. Moss or other organic growth is removed with a solution of one part chlorine bleach to 10 parts hot water. Routine cleaning includes sweeping off dirt and debris and power washing once a year will maintain the original beauty of the bricks. You have to seal your brick decking requires, especially after a thorough cleaning. When sealed, brick decking is more resistant to staining, dirt, mold; UV rays and the regular cleaning will be much easier. It is recommended to seal your brick deck every two years to increase in lifespan of the brick pavers. Natural stone deck maintenance – how to take care of natural stone decking? Natural stone decks look great and there are many options to choose from – granite, slate, sandstone, brownstone, and bluestone, marble, travertine, limestone, slate, etc. What is essential to maintain the fabulous look of your patio deck is to realize the nature of the stone that you chose and its specific characteristics. 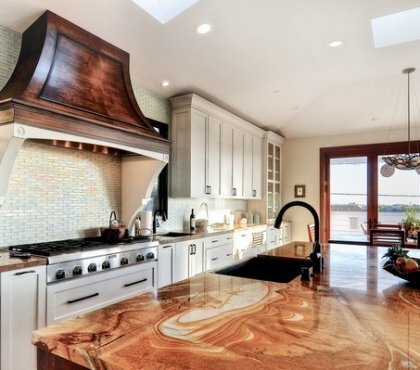 Some stone varieties are more porous than others which means that they are susceptible to staining, while siliceous stones are hard and extremely durable. 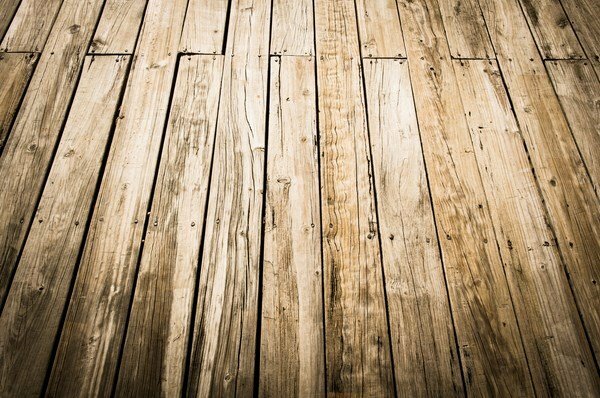 The simplest test that you can perform to determine the nature of your stone decking is to put a drop of white vinegar in corner spot. If it fizzes, the stone is calcareous. Natural stone deck maintenance includes regular cleaning with a soft-bristle brush or broom. Experts recommend the use of a pH-neutral stone cleaner since too acidic or too alkaline cleaners may erode stone decks. Depending on the type of stone you can remove moss and organic growth with a cleaner containing phosphoric acid (for siliceous stones) or non-acidic cleaners (for calcareous stone varieties). Usually calcareous stone decking requires sealing. Make sure you use the right sealer which will protect a patio stone deck and prevent damages from freezing and thawing. Concrete deck maintenance – how to take care for your concrete patio decks? Concrete is a very durable material and widely used as patio decking. 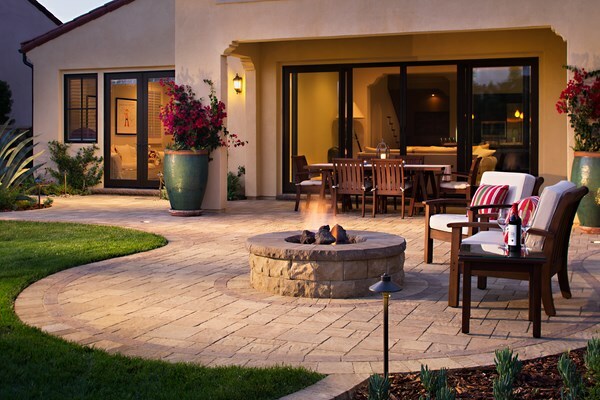 Poured concrete, stamped concrete, concrete pavers – there are many options to suit the taste of every homeowner. Regular concrete deck maintenance follows the same principles as maintaining any other deck. You need to sweep dirt and remove leaves and debris, wash the deck with a special concrete deck cleaner or a solution of water and mild soap. Scrub the deck with a hard-bristled scrub broom or brush and rinse the deck with clean water, pressure washer or garden hose with a sprayer head. Sealing concrete decks, especially pool decks, will protect them from staining and expand the life span of your concrete deck. As we said decking materials come in a wide array of options and each one has its own specific characteristics, properties and maintenance requirements. However there are some general rules for deck maintenance which are suitable for any deck surface. Dirt and debris are removed from the deck surface by sweeping and a solution of mild soap and warm water is a universal cleaner. A scrub brush will help you get rid of stubborn stains. 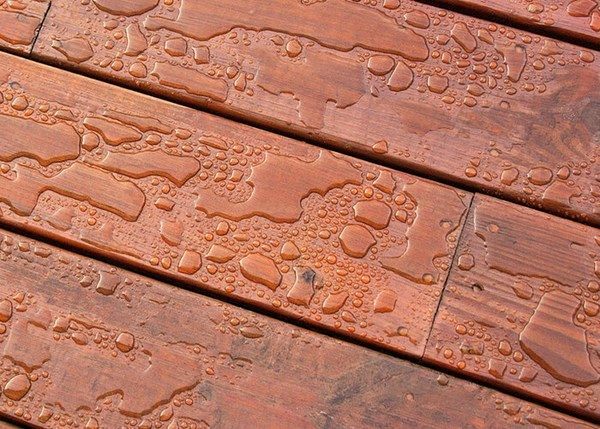 Water spots from wooden decks can be removed with a deck brightener containing oxalic acid while oil and grease stains are removed by using a dish washing detergent as soon as you notice the stain. Make sure to rinse the detergent off the deck with clear water. A pressure washer is a great tool for keeping a patio deck clean, provided you do not use too much pressure which may damage the surface of the deck. However, there are some chemicals that should be avoided as they damage the deck surface. One of them is bleach. Some deck cleaners contain small percentage of bleach but you have to be sure that your deck surface can be treated with such cleaners. In case you are not sure, it is better not to use them. 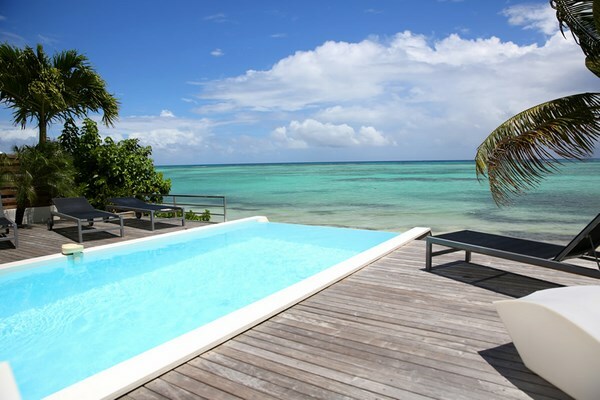 Pool chlorine and pool chemicals are not suitable to clean decks. They can be very harsh and damage the surface of wood, tile or concrete decks. Cleaners containing lye or acid are dangerous to most deck surfaces and should not be used. Never use chemical cleaners which are labeled with warnings to be kept away from children and pets. When in doubt what cleaner to use for your deck maintenance, keep to simple household cleaners – mild soap, white vinegar and baking soda. Vinegar solutions (one part water and one part vinegar) are safe to clean grease, get rid of mold and mildew. Baking soda is excellent for scrubbing stains and dirt as it is non abrasive. It is true, these homemade cleaning solutions may not work as quick as chemical cleaners and it is possible that you will have to spend some more time and effort, but the least of all, you will be certain that they are safe and will not damage your deck surface.